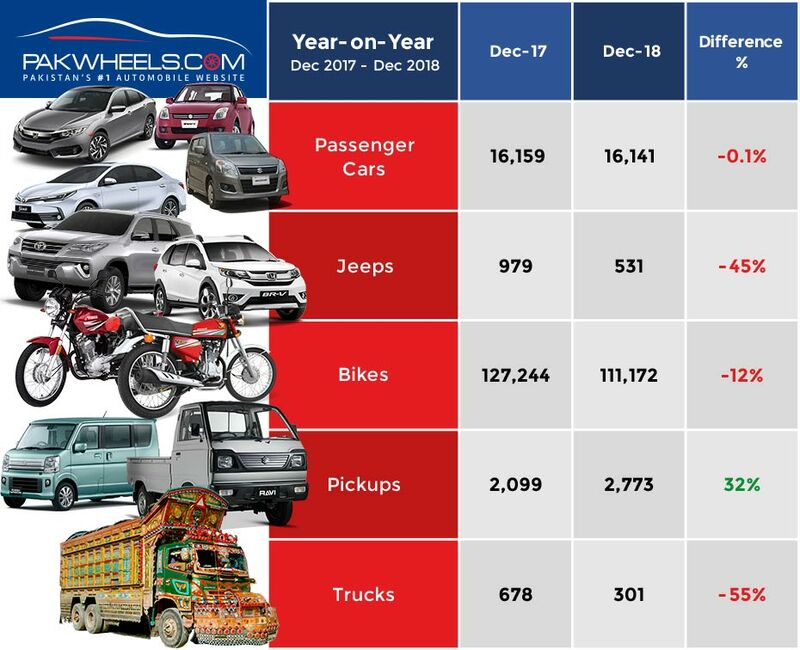 After a major dip of 28% to 15334 units in November 2018, the sales of passenger cars saw a growth of 5% at 16,141 units in December 2018. However, if we compare year-on-year, the sales saw a slight dip of 0.1% against 16159 units sold in December 2017. The sales trend fluctuated in every category. 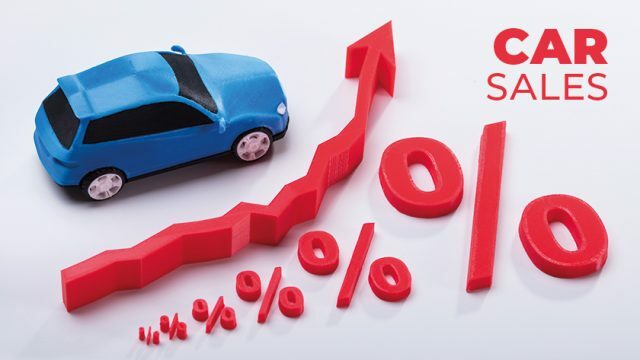 For instance, in the 1300cc category, the sales of Honda (Civic and City) and Corolla saw a dip, but the sales of Suzuki Swift, on the other hand, went up by 11% to 355 units sold in December 2018. 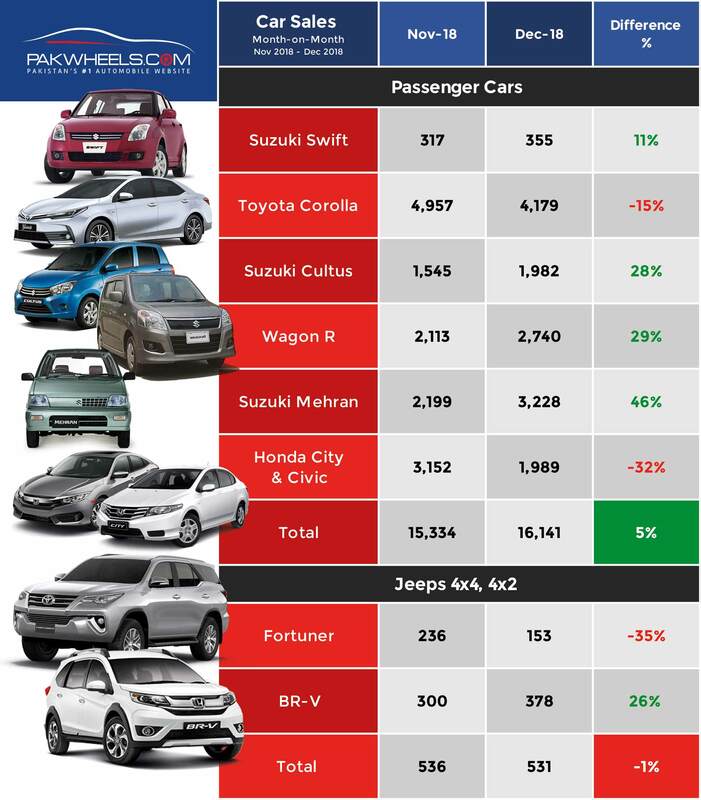 The sales of Honda Civic and City went down by 32% m-o-m to 1989 units sold in December 2018, and the sales of Corolla went down by 15% to 4179 units m-o-m. Surprisingly, the sales of Suzuki has gone up by 34% overall. In the 1000cc category, the sales of Cultus and Wagon R went up by 28% and 29%, respectively. Moreover, in the 800cc segment, the total units of Mehran sold were 3228 with an increase of 46% m-o-m.
Well, the overall increase in the passenger cars sales was mainly because people knew that the automakers will be increasing the prices at the beginning of the new year; which they have done. 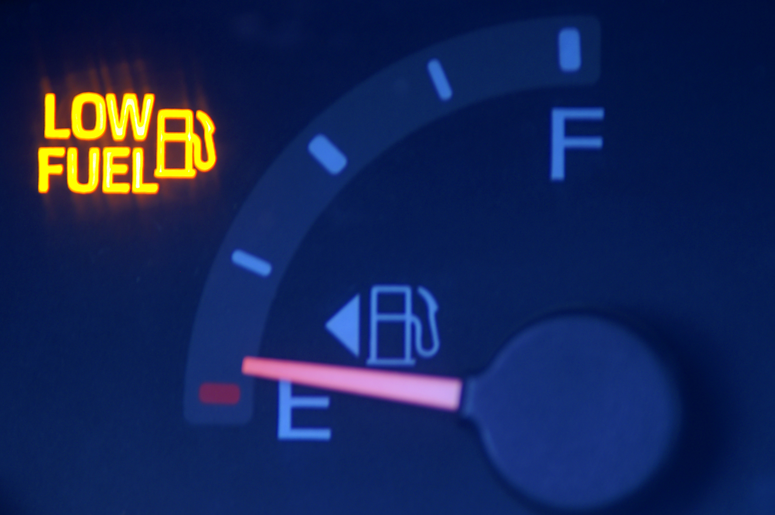 Apart from this, the sales of Jeeps (4×4 and 4×2) went down by 0.9% m-o-m. The total units of Fortuner sold in December were 153, and total BR-V(s) sold were 378. Coming towards the two-wheelers, the sales have declined by 7% month-on-month, and 12% year-on-year. The total bikes sold in December were 111,172. Honda sold 80,553 units, while Suzuki, Yamaha, and United sold 2050, 2522, and 26,047 units, respectively. It is a pity that Civic sales are so low that Honda has to prop up the numbers by combining Civic and City unit sales together in one figure.